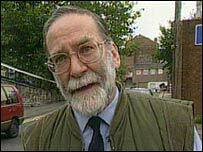 The inquiry looking into mass murderer GP Harold Shipman has called for measures to prevent doctors stockpiling drugs as he did. The former Hyde GP issued false prescriptions for diamorphine and retained leftover supplies from patients, which he used in murders. Shipman, who committed suicide in January this year, killed between 230 and 275 people over a 23-year period. The inquiry team are calling for a drugs inspectorate to be established. The drugs inspectorate would monitor and audit the prescription, storage, distribution and disposal of controlled drugs by GPs and pharmacists. The report, the fourth to be produced by the Shipman Inquiry team chaired by Dame Janet Smith, says the GP was solely to blame for the murders he committed. But it points to instances where both individuals and the systems in place to monitor the prescription of controlled drugs failed to identify what he was doing and stop him. Dame Janet said: "There is no easy way to prevent a doctor who is determined to obtain illicit supplies of a controlled drug from doing so. "Nor is there any foolproof way of detecting, after the event, that a doctor has diverted controlled drugs, to his or her own use." But she said there were ways that the rules around the prescribing of controlled drugs could be tightened up. Her report says there should be special forms used which could allow prescriptions to be more easily monitored, that the identity of anybody who goes to a pharmacy to obtain them should be recorded, and that there should be stricter rules around the disposal of such drugs. Other recommendations include making it a criminal offence for doctors to prescribe drugs for themselves, as Shipman did when addicted to pethedine in the 1970s. The report looks at instances during Shipman's career where he could have been stopped. It singles out pharmacist Ghislaine Brant, who ran the pharmacy next to Shipman's practice, and Detective Constable Patrick Kelly, charged with checking pharmacy records in 1993, for criticism. But it stresses the system which was in place at the time to monitor the prescription of controlled drugs was inadequate, and contained many loopholes. The report says the Home Office did not restrict Shipman's ability to possess and prescribe controlled drugs after he was convicted of dishonestly obtaining pethedine in 1976 while working as a GP in Todmorden, West Yorkshire. While Dame Janet says such measures would have been unlikely to reveal the full extent of Shipman's activities, she says if he had been investigated he "would probably have ceased killing for a time ... in that way, at least some lives would have been saved". Greater Manchester Police said in a statement that it had already made a number of changes aimed at preventing anything similar happening again. Responding to the report, Home Office Minister Caroline Flint said: "These are very significant recommendations with fundamental implications for the use of controlled drugs in the NHS and elsewhere. "We will need to study them carefully and in consultation with existing inspectorates, patients, NHS and police organisations, and the healthcare professions." She added that decisions on some issues could not be made until the inquiry's fifth report into the monitoring and regulation of doctors had been published. The British Medical Association's and the Royal Pharmaceutical Society welcomed the inquiry's proposals. But Dr John Grenville, of the BMA's GP prescribing committee, he said: "With regards to the proposals to tighten up the supply chain from supplier to the patients, it is important that any new system strikes the right balance between monitoring the movement of controlled drugs and giving quality patient care. "Opiate drugs are widely used to ease patient suffering - notably for terminal care of patients with cancer and other illnesses. "Patients would be in very severe pain if doctors were unable to give adequate doses of opiates at the appropriate time." "Harold Shipman killed for 20 years because he was able to manipulate the system"